Rich will be doing a Theater Show just outside of St. Louis Sunday night, April 28th in Edwardsville. About 15-20 minutes away from the hotel. We will have a ride if you need it. Now is your chance to learn exactly every step of the process that makes him the number one stage hypnotist working the road today worldwide. Set up the stage for optimum results. Read the Venue to know what type of show to do. Perform the show for maximum fan acquisition. Back of the room sales secrets. Structure your deals and getting paid the right amount. There will also be a before and after show Q & A session with Rich to iron out every detail of the night. If you want to learn from the best in the business on doing shows on the road, then this is your chance to get the complete turnkey operation from the man himself that has done on average 300 shows a year for more than two decades. 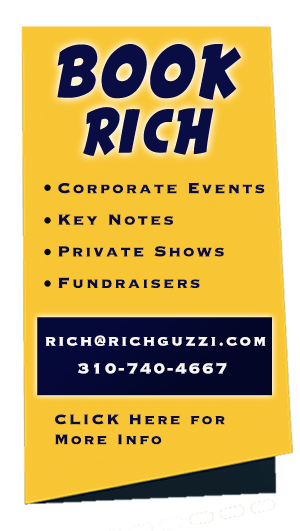 Just $125 includes the night with Rich, a ticket to the show in a private section for the Q & A sessions plus a bonus checklist to review after the night is over to help you remember everything that you learned and how to apply it. THIS IS A VERY UNIQUE OPPORTUNITY TO LEARN FIRST HAND EXACTLY WHAT MAKES RICH ONE OF THE MOST SUCCESSFUL STAGE HYPNOTIST IN THE WORLD TODAY!